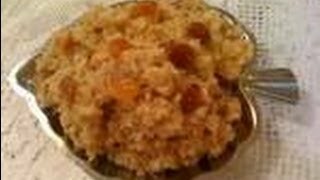 Chakkera Pongali is a traditional sweet made with rice and moong dal. Use organic milk to cook with and use jaggery instead of sugar. For your more healthier option use stevia or dates instead of jaggery. Wash and soak brown rice in water for about 30 minutes. Wash the moong dal also. Grate the jaggery or cut it into small pieces. Grate fresh coconut or get some frogen coconut ready. Fry the nuts and raisins in ghee or clarified butter. Fry the moong dal and soaked rice in ghee for about 5 minutes. Then add water and milk. Cook them covered until rice and dal are soft. Leaving a little vent when you cover will avoid spilling. Even if it is spilling take off the lid. Give a stir in between so the contents will not stick to the bottom. 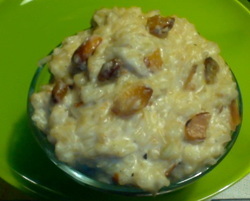 After the rice and dal has been cooked add coconut and mix it well. Then add jaggery. 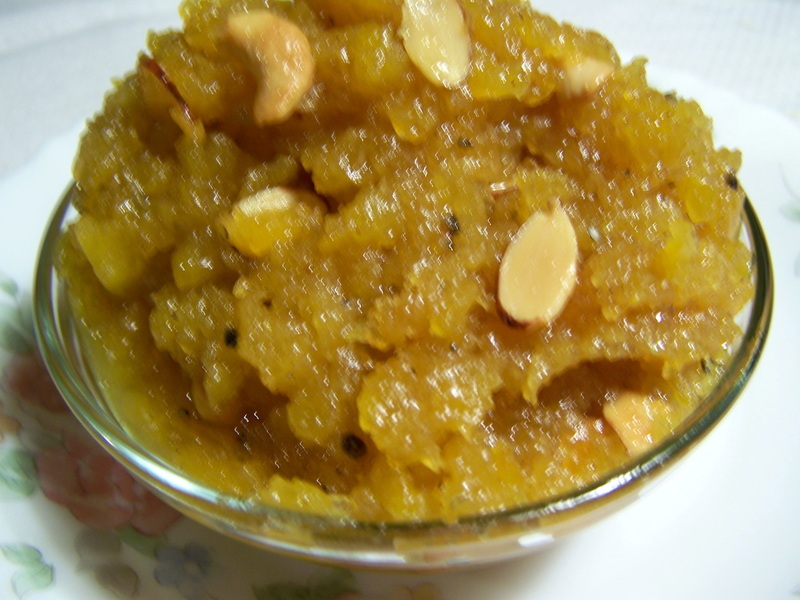 For a rich taste add 1/4 cup more jaggery. 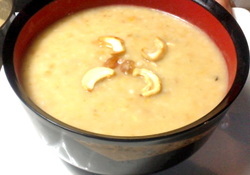 You will notice that it is getting thin after adding jaggery. Add fried nuts and cardamom powder and mix it well. Stir in ghee or clarified butter. Serve this hot or cold as a dessert or side dish. You may adjust the proportion of water and milk for your convenience. Use whole milk only. Using 2% milk or 1% milk does not give the taste. Use organic milk only. Non organic milk contains both growth hormones and antibiotics which will lead to a lot of health complications in the future. Use natural raw milk if it is possible which is even better for your health. By using brown rice instead of white rice you will be getting vitamin B, vitamin E and nutritional fiber. Jaggery is a better alternative over white sugar. jaggery will give you some amount of minerals where as white sugar gives you empty calories.